Calgary, AB - Cavalry FC announces the signing of Jonathan "Jay" Wheeldon (CAN). 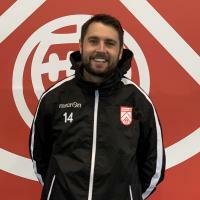 Jay Wheeldon was born in Plymouth, England and played his early years with the Swindon Town Youth and Exeter City Youth clubs. Prior to signing his first professional contract, Wheeldon had a short term deal with Torquay United FC. Wheeldon signed his first professional contract in 2008 with Royal Racing Football Club MontegnÃ©e (R.R.F.C. MontegnÃ©e) in Belgium. In 2011, Wheeldon returned to England after being signed to Hungerford Town FC. "Playing professional soccer and being part of the first Canadian Premier League in your own town is exciting. The unique experience that Spruce Meadows will create will be unlike anything else" - Jay Wheeldon on what interested him about playing for Cavalry FC.